The results of the 24th Challenge Day edition ranking City + City are available for downloads. The cities that competed against each other in 2018, and will keep on competing until 2020, can now view their positions on their own categories. Note that it is the number of inhabitants that categorizes the cities. With the aim to promote integration and communication between administrators and leaderships that participate of the campaign, a new format of challenge was created: City + City. Encouraging collaboration, the sum of both towns’ results generates the current classification – which will have a new round each year until 2020. In other words, the percentage of the population that took part of Challenge Day in each city plus the result of its competitor will rank them, as a pair. Cities competing and gathering efforts to increase the number of those who practice physical and sportive activities, this is the main goal of the new format. To keep the cities motivated and to integrate them aiming the exchange of experiences and good practices so they can improve their individual performance each year and reach a better global position. 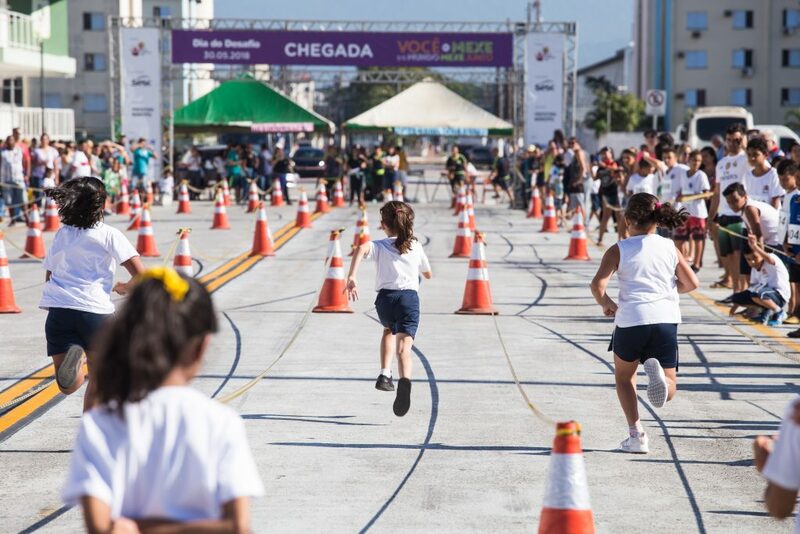 In 2018, more than 37 million people took part of the competition in 3.189 cities. In Brazil, among 26 States, 19 participated. São Paulo State alone had 551 of its cities subscribed to the competition. Mexico embodied North America, while Argentina, Brazil, Chile, Colombia, Peru, Uruguay and Venezuela represented South America. Moreover, the countries on behalf of Central America were Costa Rica, Cuba, Guatemala, Honduras, Nicaragua and Dominican Republic. Check all the results by clicking here!